Different from animals, sessile plants are equipped with a large receptor-like kinase (RLK) superfamily. RLKs are a family of single trans-membrane proteins with divergent N-terminal extracellular domains capped by a signal peptide and C-terminal intracellular kinase. Researches in the last two decades have uncovered an increasing number of RLKs that regulate plant development, stress response and sexual reproduction, highlighting a dominant role of RLK signaling in cell-to-cell communications. Sexual reproduction in flowering plants is featured by interactions between the male gametophyte and the female tissues to facilitate sperm delivery and fertilization. 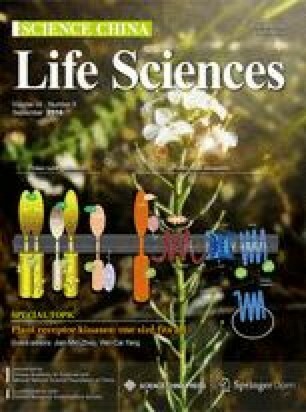 Emerging evidences suggest that RLKs regulate almost every aspect of plant reproductive process, especially during pollination. Therefore, in this review we will focus mainly on the function and signaling of RLKs in plant male-female interaction and discuss the future prospects on these topics. Open Access This article is distributed under the terms of the Creative Commons Attribution License which permits any use, distribution, and reproduction in any medium, provided the original author(s) and source are credited.